Here are the classes currently available, taught by Amy Conley. Class for Beginners (Adults/Teens/Kids over 11) wishing to learn a wonderful instrument and many styles of music. No previous music knowledge necessary! Ukuleles have gained recent popularity all over the country because of their ease of playing, wonderful sound, portability and musical versatility. We'll sing and play in a group (group singing has been shown to reduce stress and strengthen the immune system), working in the key of C. Songbook is The Daily Ukulele with 365 songs. If you need a ukulele, call Amy at 249-9560. For students who are comfortable playing the chords C, Am, F, G, G7, C7, Em, Dm ... OR have taken Ukulele Beginners. Learn new chords and more songs in the key of C from The Daily Ukulele, as well as songs in the key of G, fingerpicking and reading Tablature. People in this group are familiar with many songs in The Daily Ukulele, can read chord diagrams quickly including the jazz chords, and sometimes like to perform at local events. This is for Intermediate players who are comfortable learning new chords/songs and enjoy singing for fun. Students may sign up for any performances they are interested in, or none at all. Open to all students who have completed Ukulele Intermediate Class or demonstrate appropriate skill. Several classes (and makeup opportunities if you miss a class). Enjoy playing music with other people, while improving your skills at the same time. 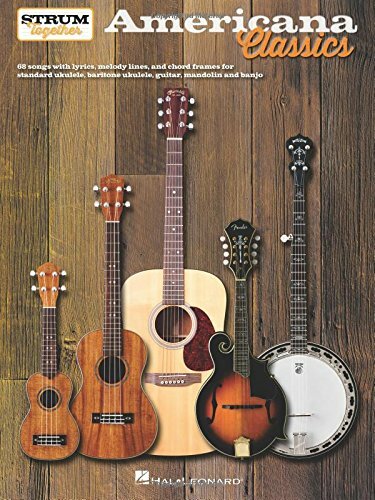 Guitar, banjo, mandolin, ukulele, baritone ukulele players, iconic songs by Dylan, Baez, Seeger, Cash, Guthrie, Nelson and more. 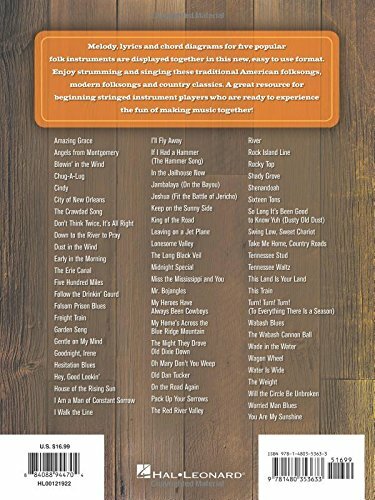 We'll use the book Americana Classics (Hal Leonard pub) from the Strum Together series. Level: Adv. Beg.- Intermediate. $126. for 9 weeks, includes the songbook. Amy Conley believes that everyone can be musical if given a nurturing musical environment and positive, enjoyable instruction based on personal interests. Register online for your first lesson and consultation where we will talk about your level and interests, learn about your musical background, and try some new things! $25 for 30 minutes, $35. for 45 minutes, or $45 for one hour. Semi-private lessons are also fun-- you can come with a friend -- one hour for $50. Held in Milford NH. Ages 7 to Adults. This is a three week session for parents or caregivers of babies and preschoolers (birth to age 6). 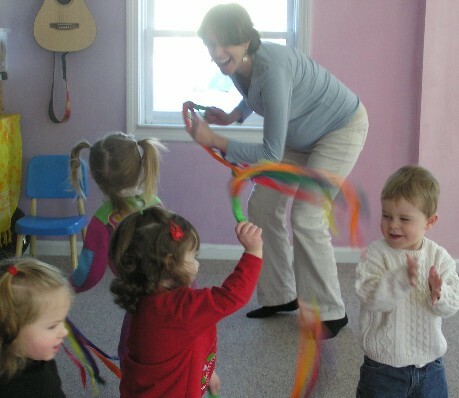 Bring your teddybear or special soft toy and we will sing, dance, explore rhythms and rhymes, and learn the best ways to develop musical intelligence at home. 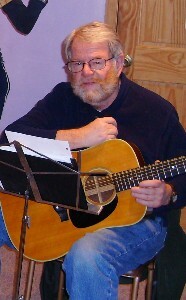 Choose Temple Beth Abraham in Nashua or Music Together of Milford (NH) 20-on Mon, Tues, or Thurs. mornings from May 20 - June 6. Amy plays guitar, banjo and ukulele. 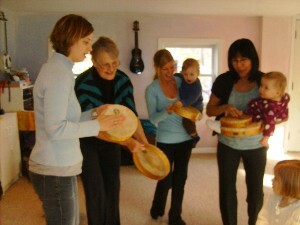 Families will explore a variety of rhythm instruments and props. $45/family.